The movie is about the intertwined lives of Caloy, Leo, Rex and Odie. All of them live in the depressed slum area of Quiapo, Manila. The film takes place during Holy Week amidst the 2007 elections. It represents Manila as swarming with criminals -- snatchers, pickpockets, drug pushers, shoplifters and the like. However, these petty criminals are portrayed as nothing compared to the corrupt, hypocritical politicians who make false promises, exploit poverty and call on God for help. 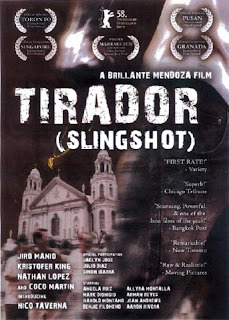 Tirador (Slingshot) is a movie directed by Brillante Mendoza. 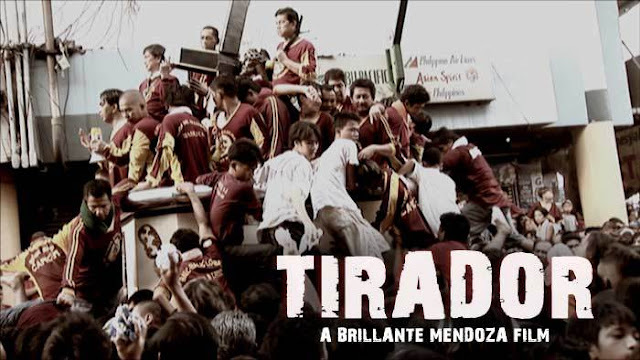 Produced by the Centerstage Productions, the movie showed the political undertones of the Filipinos who are living in poverty.